A nameless, bearded man appears on the doorstep of a suburban villa. He soon turns the lives of the family members into a nightmare. 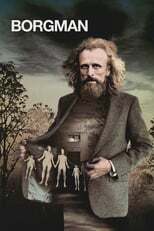 Borgman is directed by Alex van Warmerdam and was released on Aug 29th, 2013. Director Alex van Warmerdam's Thriller & Drama movie Borgman is produced by Angel films & Graniet Film & was released 2013-05-13.